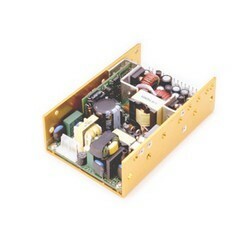 Li Tone Electronic Co., Ltd.
U channel AC/DC 60/80 Watts switching power supplies. 1. Dimensions: 5 x 3.2 x 1.5 inches. 2. Double-sided PCB for high reliability. 3. Built-in class B EMI filter (AC/DC input). 4. EN61000-3-2 class A ( harmonic distortion correction). 5. Adjustable main output. 6. Overload protection. 7. Overvoltage protection. 8. Short-circuit protection. 9. Voltage: 90V AC to 264V AC universal. 10. Frequency: 47Hz to 63Hz. 11. Current: 2A rms max. at 115VAC, 60W/80W load and 1A rms max, at 230VAC, 60W/80W load. 12. Inrush surge current: 30A typical, cold start at 25 degrees Celsius, 115V AC.